Ammo Nut Wizard - Black Walnut Cracker for Serious Nut Crackers! 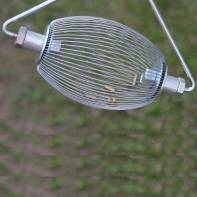 The Ammo Wizard by Holt's Nut Wizard, is wildly popular with shooting enthusiasts because it easily picks up all brass casings. Even those that are hidden in the grass. Of course it is also useful for picking up pin acorns and other small nuts. Works well on my tiny acorns.